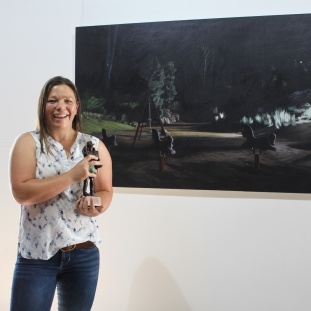 Jamberoo’s Helinka Orszulok has won the $50,000 Glover Art Prize at her first attempt. The prize is awarded each year for the best contemporary landscape painting of Tasmania. The artist gained her Masters at the Sydney College of Arts, before moving to the Jamberoo Valley with her husband, author Alan Baxter, ten years ago. “This is a really significant break for my career,” says Ms Orszulok. “It has been a long process to achieve recognition and I feel this will be a turning point for me. Asked to describe her style of work, she says, “I take photos of the night time environment and I paint them photo-realistically in oils. “I am really interested in ordinary places and how they are transformed by night. I like to make the ordinary seem a little mysterious and give it an edge. “It kind of looks like a moment in a bigger narrative. “There is no correct way to interpret the images, it is up to the viewer to bring their own interpretation. Originally from the Blue Mountains, Ms Orszulok and Mr Baxter fell in love with Jamberoo at first sight. “We never wanted to live permanently in Sydney, and once I finished my studies and established a foothold in the Sydney arts scene we started to look around for someone to call home,” she says. 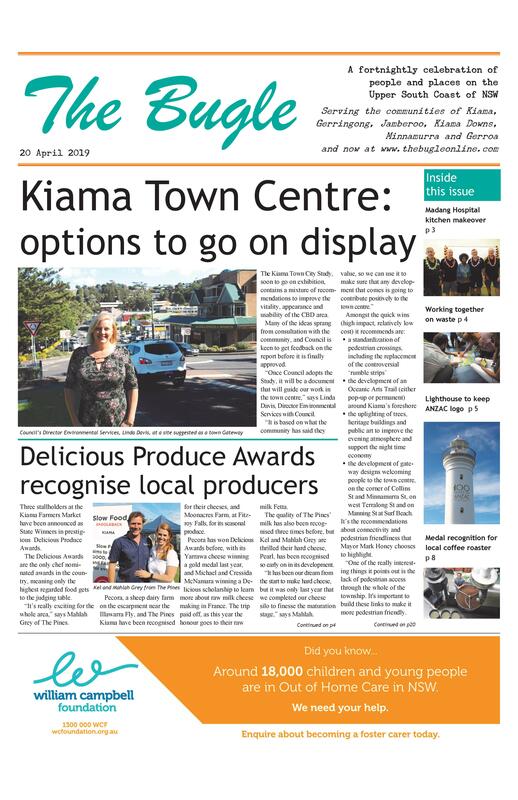 Apart from their creative endeavours, the couple teach Tai Chi in Kiama and Jamberoo.